Ipsy Glam Bag Plus November 2018 SPOILERS! We have some spoilers for the November Ipsy Glam Bag Plus! UPDATE – to clarify, these are SOME of the items that Ipsy is sending in November. Not every Glam Bag Plus subscriber may receive all these items. I would be happy with any and/or all of this. Yessss feed my highlighter addiction. I like it. That palette is pretty, and I need a good cleanser for my sensitive skin. I don’t need highlighters so I’ll uncheck that but otherwise I’m happy with the spoilers so far. I am afraid unchecking won’t do anything. I had highlighters unchecked for the entire duration of my Ipsy subscription, and am still receiving one this month. They simply don’t have enough of a variety to customize the Plus boxes to people’s profiles. I had eyeliner unchecked on mine the entire time k was a tepvular subscriber but got that forsaken eyeko liquid liner three times. So, nothing new. I think you are right. I never use highlighters and have the. Deselect ed and still get them from ipsy. But, 2 hightlighters in a row, back to back in the glam plus, is a bit much. I have 2 2 oz sized first aid beauty cleansers. I don’t know if you are on the swap site but I would be happy to trade. Does anyone know when they’ll be updating to review the plus items? My profile is still stuck on the sneak peeks and I haven’t been able to view anything else. So excited to receive my Ipsy Glam bag Plus this week..!! I’m super happy with anything and everything I get. It’s a monthly sub for cheap… it’s not going to be a hit for everyone every month. I feel like too many people expect way to much for a monthly sub, save your money and go buy what you want if these don’t work for you over and over again.! Could you imagine trying to make everyone happy… it’s impossible.!! I agree! Ive only been a sub for 3 months & i got the glam bag plus & im stoked! Love it all! Thank you couldn’t have said it better!!! I don’t think this will be in the Nov. Bag I hope so but these were just 3 products she could pick one to be in her bag. So if they were just going to be in the bag they wouldn’t offer like a guarantee for one of them. The October Plus was awful. I regret signing up. The regular glam bag was much better. I’ll give it another month. I am so happy to have the Glam Bag Plus and I can see future openings as members come and go and spots open up. I am positive this will soon be an option for everybody. Did you get an email about whether you wanted the Plus or not? I am really wanting to subscribe to the plus box but they said I basically have to wait for them to offer it to me. I agree. This looks so much nicer. Definitely more of what I was expecting. October’s pallett was awful IMO. November’s is MUCH more wearable. But my Christmas shopping for my nieces and daughter’s college roommates (all under 21) is done because I give them all of my unwanted Ipsy and boxy items. They appreciate them and I like that nothing goes to waste. I definitely want to see more skincare with Ipsy plus. Sunday Riley please!! Ipsy is frustrating me to death with this Glam Bag Plus-I haven’t even had the option to wait list for it. I check my account every day, nothing. I’d love to sign up, waitlist, anything. But nope. I emailed them and they were no help. Last month, invitations to the waitlist came out later than this. They issued the same number of invitations as they had October boxes (about 15k). When you receive an invite you can expect to get a plus bag the next month provided you accept. Good luck! I hope you receive an invitation soon!! I am a member of the plus group and I will be receiving this highlighter in my bag this month, however I’m not interested in this product so if you would like it just email me and I will be happy to send/give you mine when it comes. That is so sweet of you to offer that to her!! You are wonderful!!! Do a search in your email for Ipsy and check all emails, they offer spots on waitlist through email (I was only on it a few days.) You need to click the link in the email. I have 2 accounts. My old one of 3 years and one just opened 3 months ago for my youngest daughter. My oldest took over my old acct. My 3 month old account has the Plus already. My 3 yr old account still does not. I’m so happy I got one as told them both I’m taking over if one does bcuz I spilt it all up for Christmas. I do however feel bad that any one with an account didn’t get first chance. It was not fair and they should have done who had account a the longest! This is already looking better than October!! I’m pleased with the previews. I do hope we get the Ofra choice with the new packaging and not the leftovers from the previous branding. The last few Ofra items I’ve gotten have been from older stock. Still good, but it’s nice to get the new product. I love Ofra, but not a highlighter lover. I’m excited about this month’s box too! Bring it on. I know a lot of people would disagree but I actually would prefer these spoilers to the ones sent to influencers. I am not a fan of morphe shadows, I have the tarte blush, and do not like that buxom mascara, I do love the bum bum cream and would have been interested in the Sunday Riley. I have only used samples of that FAB cleanser and I love it (eventually planned on buying it), I have an OFRA highlighter and really like it, and I have wanted that it cosmetics palette for awhile. These are great brands. I am hoping there isn’t too much of a variation this month. Lol, I said almost the same thing under the original thread for Ipsy Plus where everyone was expressing their outrage. I recall receiving at least two Tarte brushes through subscription boxes, one was a gift from Allure I think, and another was part of a palette in a Boxycharm limited edition box. Both are far superior shades to the one sent to influencers (which doesn’t even really look like a blush to me). These are spoilers that unhappy ipsters were allowed to choose from. So the palette most likely won’t be given to everyone. Why would someone be given opportunity to choose something that was going to be in their bag anyway? Since people thought Sept was so great maybe Ipsy is planning on sending that $15 Morphe palette to some of the complainers . I was gonna sign up for november but i guess ill wait till december 😭 These items are ALL SO amazing!! I just have all 3 lol (and a backup for the cleanser) so i dont need this box and i dont think theres a way for me to ask not to get particular items. The Ipsy vs Boxy match is ON! I don’t have Rodeos Drive and would love to get it! I love IT cosmetics brow pencil, and wouldn’t mind getting this palette… but I’m quite salty over the Oct plus box. I’m cancelling after using the 5$ shopper credit and I’ll be purchasing Huda naked palette Nov. 1 (which is out of this world gorgeous!!!). I have BC sub until Dec and plan on getting the BL box (violet Voss palette rumored!!! ), afterwards I plan to cancel as well. I’ve gotten plenty of palettes, lippies, highlighters, mascaras, brow stuff, brushes(love all the luxie brushes!) and eyelashes from BC since subbing in Jan. Seriously too many products when i dont doll up everyday. I’m planning on just purchasing what I really want directly from ulta/sepHora moving forward. That’s my plan too! After December, cancel Boxy. After Nov, cancel Ipsy Plus, maybe keep Ipsy Lite since it’s so cheap. Canceling Julep, Allure, Macy’s, Bolzano and Bijoux Box next year. Fingers crossed for willpower. I only have Ipsy Plus at this moment, will cancel by new year’s. Seriously, I could open my own cosmetics shop with all the stuff I’ve accumulated. How do you know what they’ll start selling on Nov 1? I canceled and seeing the picture of September plus bag products that nobody but influencers above the comments ticks me off and makes me happy I cancelled. There wasn’t really a September Ipsy plus they sent a promotion package to influencers. Ipsy did say that the October plus wouldn’t be the same and the promo boxes and that they were sent to show the type of items that would be in future Ipsy Plus. I know this isn’t the popular opinion imo the items are the same type. Promo/October plus boxes both had these items and categories. Same makeup bag and October boxes have a 6th bonus item. I though they made it pretty clear the boxes were not going to be the same. I agree that the boxes sent to subscribers vs influencers are about equal in value but it’s more the specific items that are making it a bust for me. Of the 8 total options of items, three of them are glitter/shimmertastic not neutral/universal like the influencers received. A black eyeliner and mascara are rarely exciting so I suppose that’s where the backlash is coming from. I’m not mad but I’m not as excited as I was when I saw the promo boxes. And let’s be honest. Had the October box been sent to influencers for hype, do you think that “equal monetary value” and “similar items” line they give would have worked? With all of the disappointment and backlash, I’m guessing that’s exactly why the influencers got much better contents. The bag, after all, didn’t change. So, it’s a bit disingenuous to say that they always said it wouldn’t be the same. Even with Lil’ Ipsy, there is variation, but there are still similar items in multiple bags. Their marketing team played their cards. It backfired. And this post doesn’t even contain spoilers, but only a few people caught on to that. This source is a Reddit thread where some pisspster posted the reward for her complaint. Consolation to one person does not equal spoilers. How long does it take to get off the waiting list? I signed up way back when Liz had it posted here. How do we get one?? I’d really love to get that cleanser or the palette. I like what I’m getting in my October bag, but I hope there are a lot more choices for November and that I don’t get the highlighter. I’m already getting the Morphe highlighter for October and got a full size Pixi blush/highlighter in my August bag so even though I use highlighter daily I’m kinda highlightered out. 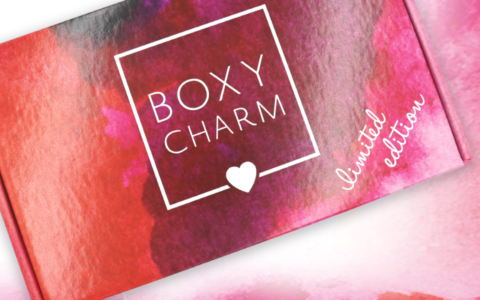 I canceled boxycharm to subscribe to this and I think it has the possibility to be a better service if they can tailor the variations to our preferences. I generally felt the choices in the original Ipsy bag were a good fit for my profile so hopefully they’ll have enough product options in the larger sizes going forward to do the same. I’m actually really excited about these. I mean to me this is way better than October & these are just 3 of the products! Really happy about this!! Oh man, this is tempting! Not everyone wears highlighter like you see on social media ipsy! Why do we need a highlighter in both boxes. This is a little better but still nothing compared to the influencer box. And are we going to get eye shadow every single month? Does anyone know.. I dont wear it so I hope not. This is the reason i don’t do boxycharm, although these eyeshadow palettes are an upgrade. I have so many untouched highlighters, I’m in my late 40’s and highlighter just makes my fine lines look larger. I was thinking that being Fall highlighters wouldn’t be in fashion for a few seasons, guess I was wrong. Try dabbing just a touch of highlighter on the inner corner of your eyes after your eyeshadow is done. It looks so pretty! Another highlighter!?! Please add more skincare products, Ipsy!!! ALL OLD PRODUCTS I BOUGHT ALREADY. PASS FOR ME. Happy with these spoilers. I’ve been wanting to try that palette. I am guessing there will be a lot more variations next month – if you click the source she was given the option to choose. I hope more people realize that these are variations. Especially when you read, on that other page, that the person who posted these were given them as an option for next month, to choose from since she emailed about not being happy with something. These are ALL variations from the sounds of it. Right! This comes from Reddit and it’s some girl’s email response from Ipsy after she (apparently) expressed her displeasure with the October box. So someone from Ipsy offer the source these choices. Of those, one would be in her November box as consolation for her trouble. There is no indication these items are spoilers for the masses. It’s one person. #ipsy did say that the variations are very small for the glam bag plus only 3 to 4 different variations which i think is great! I think the variations are so Ipsy can use our beauty profiles to best match us. I am hoping that means I get the palette and Ofra (I have this but want a 2nd) and not the cleanser. They got the first month right for me and skipped the Ciate as I don’t use primers, so I am keeping my fingers crossed for month 2! The Ciate wasn’t a primer. It was a setting spray. Oh, heck no. I don’t like any of this. I paused November immediately. Ok ipsy you’ve got me for another month. But if the palette ends up being a variation and we all don’t get it, I’ll be so mad. Didn’t everyone get the palette last time? I thought it was in every variation. If it was then it shouldn’t be any diff this time. Do you know thus for sure? Or is this just your “most definite” opinion? Hmmmmmm? I think the palette is “probably” the main item of the Plus bag for November, but theres a posibility that I could be wrong. Very happy with the spoilers so far! I read another comment above and I agree with what a few are doing by cancelling and buying exactly what they want bc they arent happy. If I wasnt happy I would most definitely do the same! I am very happy though! Thank you Ipsy! I feel that if the palette was going to be in every bag Ipsy would not have sent an email with opportunity to choose it. These spoilers came from a post about someone who complained about their bag so Ipsy sent them this list to choose from. Wait, what email? I did not receive any such email. If you click on the source (nessie_salteres) under the pictures above, you’ll see that all three of those are variations. Would’ve been nice if the FAB was a moisturizer or ANYTHING but a cleanser! I, like the rest of the sub box world, already gave Rodeo Drive but the palette is good. Still salty about October’s misrepresentation, but might just hold out one more month. Might…. That cleanser fixed my rosacea break outs. It will always be a holy grail for me…even if it does smell boring. Omg, I have the smaller IT palette and it is almost gone….soooooo happy! Worth it just for the IT palette. I already have 2 full size of the highlighter. Its a bit too shiny for me. Eh, I don’t care for these items so far. I think going to switch back. I was really disappointed this month. We could have least gotten ONE of the same items as what they sent to influencers. Wow !!!!! These are great spoilers !!! Happy I didn’t end up canceling ! I’m thinking Ipsy Plus is going eventually outshine Boxy. Already Ipsy’s pallete game is stronger. Better step it up Yosef! I was thinking the same thing. These spoilers are awesome. I am with Boxy until December to see what is in the Boxy Lux but I really thinking about going back to Ipsy. The whole Boxyluxe thing has me salty. I’ve been with Boxycharm a long time. I feel they really cheated their longtime subscribers by offering Luxe to everyone causing the whole site crash thing. That coupled with the lackluster boxes has me needing a Boxy break. Yeah, I dropped Boxy after that whole fiasco. Don’t miss them a bit. I totally agree. Subscription boxes have no loyalty toward long time subscribers. I was ok with how Ipsy was rolling out the Glam Bag Plus till people posted that they resubscribed and were off the Plus waitlist a week later. Now, I’m annoyed at both of them. Me too i dropped them also and people on FB bragging they managed to get several BCL boxes when many couldn’t get 1.I admit I am jealous but then when I saw what was in BCL it soon passed I dropped them when I found out that I would have to stay subbed just to stay on the waitlist for Dec. BCL and still not be promised to get BCL. I love the Ipsy Plus I have coming so excited to get it !! Also I am guessing a lot of people dropped Boxy because of the Luxe situation and people feeling ripped off from the variations with the values being all over the place .cheap lashes or a Becca primer. 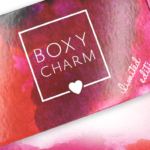 Now Boxy is giving boxes away with purchase that says something. I heard with the Eve product and Boxy it will be the Nox. box you do not get to pick a month to try. Yeah I’m going to see how Luxe is and then I might cancel. I agree ……I love boxy but the past few palettes haven’t been the best. This palette is far better then the random one were receiving this month. Even the smash box one that is all glitter is more appealing . Are these regular people spoilers, or just what the influencers will be getting? Asking for a friend. Lol! Actually REALLY looking forward to that palette! Another highlighter? My pores say noooooo! Yeah, I hope we don’t start getting highlighters in every box now. Amen!!! I have tried and tried to do the whole highlighting thing since it’s become expected as a basic part of even a casually made up face, and I’ve received a ton in boxes. But no matter what instruction, tool, or product I use all I feel like I’ve accomplished is turning my pores into a big neon sign! As for the cleanser, it’s an ok brand but this product and their moisturizers don’t really work for me. They tend to dry out my combo skin and aggravate my occasional patches of psoriasis around my nose. So here’s hoping the only one of those variants I get is that palette. I think it would be very much my style, and I haven’t tried any makeup frim this brand, only skincare. I’m liking these spoilers all ready! Do you know if these are variations, I’m really hoping we all get the palette at least. So glad I didn’t cancel after I saw my October plus products! I am STOKED for November!! So glad I stayed! Already better than last month, but I’m still a little salty from the misrepresentation from October. I’d think about joining Ipsy Plus again if they were to really wow us with some spoilers. Wow! Now that is a gorgeous pallete and I love First Aid Beauty anything! Yay!!! I’m excited for November Ipsy Plus, I’ll have my Ipsy Plus and Ipsy bag soon to play with until this box comes.